Google Book has Huge Collection of different types of books. You can download google books free of cost. Google book has nice collections of magazines, novels and all other stuffs. 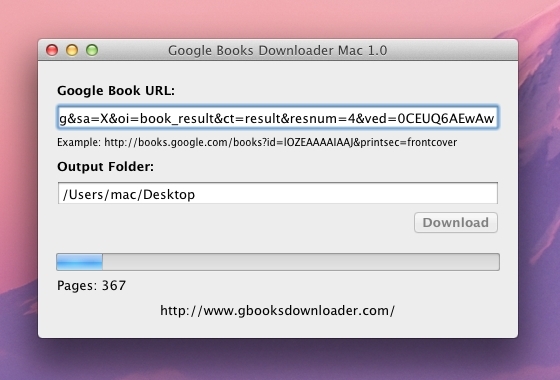 Today I will show you how to download Google Books. STEP 1:- Download Gbook Downloader. STEP 2:- Go to Google book page the book which you want to download. STEP 3:- Go to address bar and copy the URL of that page. STEP 4:- Paste your Url in the software (Gbook Downloader) and Click on start it will start to extract book pages & convert into PDF. STEP 5:- Enjoy book downloading, read more and Learn more.